Every year PANTONE picks a Color of the Year and associated color palettes that coordinate with that color of the year. This year the Color of the Year is Living Coral 16-1546. 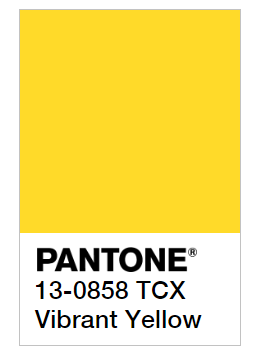 In one of the coordinating color palettes sits Vibrant Yellow 13-0858 TCX, Spring's hottest fashion and beauty shade. If you have looked around fashion magazines and catalogs these past few months then you'll notice that there are so many wonderful iltem popping up in Vibrant Yellow 13-0858 TCX. This color is Spring's accent color if you will indulge me for a moment. I personally just keep it to the lipstick or eyeshadow! Yellow eyeshadow looks very good on people with blue eyes, green eyes and hazel eyes. Those with gray or brown eyes can still use it but should not make it the focal point of their eyes. I would accent the inner corner of the eye or the center of the lids or the inner portion of the upper lids. Make it fun but not too excessive. Whereas, it I wanted to wake up my eyes with this shade on eyes like mine, use it all over the upper lids and use a nice chocolate shade in the crease, into the lower lid and a beautiful light gold under the brows.Or just go all out flower girl it and use it all over your eyes wish some liquid liner and mascara. If you have noticed the spring makeup trends, the palettes that have been coming out lately have a lot of blues, a coral here or there and definitely a yellow too. 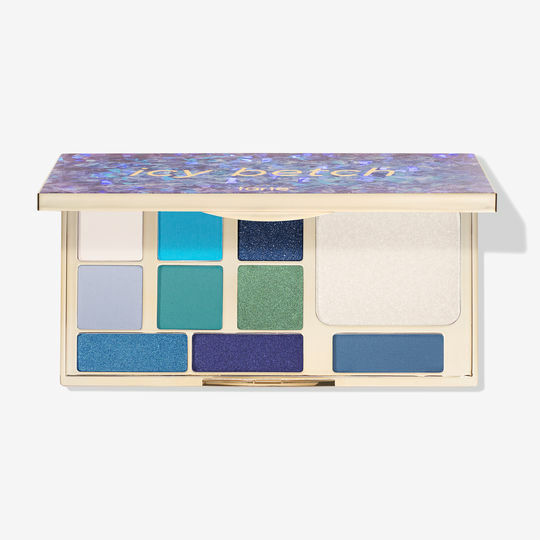 One fo those palettes is tarte's new Icy Betch palette ($24). It doesn't include any yellows but has all of the blues and even a green. 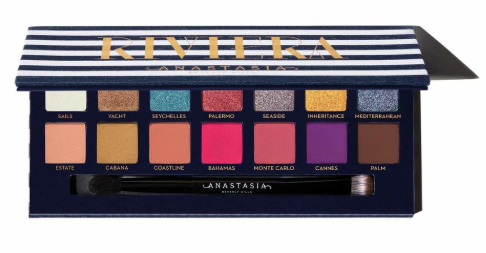 Why don't we go to the French Riviera with Anastasia of Beverly Hills ($45)? This palette has a yellow and a gold, perfect for making eyes look beautifully happy. 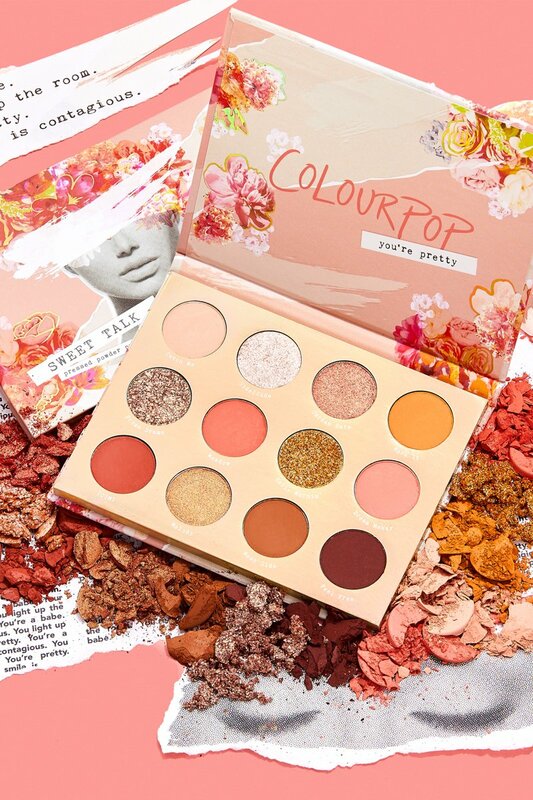 ColourPop has their new Sweet Talk palette ($18) for Spring and it has a lovely golden yellow in it that is perfect for those who are beginners to wearing yellows and might be a little scared. Those are just a few of the palettes coming out this spring with a bright theme to them. Most of spring's palettes are very bright and spiffy this year. And most of them and the fashion lines include at least one yellow item in their collection. How do you add to your collection without making it an eyesore or a fad? Add a yellow single eye shadow from Kylie Cosmetics or a yellow peasant blouse from Anthropologie that is absolutely gorgeous and will last more that one season. It's that easy.